Extended deadline to apply to be the new MAYS coordinator! We would like to notify you about the extended deadline to apply to be the new MAYS Coordinator! We are looking for one new coordinator who will take Natashe’s place from September on and together with Mari keep MAYS as lively and active as usual. We currently have more than 500 members from all over the world and we keep on growing! Through MAYS, young scholars in medical anthropology have the opportunity to exchange their ideas and discuss their work in the pleasant peer-atmosphere of our annual meetings. There are basically no requirements you have to fulfil other than being a PhD student in medical anthropology but it is certainly very helpful to have the backup of an anthropological institution (that could also, for instance, host a future annual MAYS conference). The online elections will take place from August 1st until August 9th and the new coordinator will be announced on the 12th of August. The deadline for sending in your application is July 28th! Please do not hesitate to write if you have any further specific questions! We’ll be happy to tell you more about the fun that being a MAYS Coordinator entails! we are happy to share with you the video of Prof. Cristiana Bastos opening lecture at the 7th MAYS Annual Meeting which took place in Lisbon on 23rd & 24th of June 2016 at the Institute of Social Sciences (ICS) of the University of Lisbon. Call for new MAYS coordinator – apply now! We are looking for one new coordinator who will take Natashe’s place from July on and together with Mari keep MAYS as lively and active as usual. We currently have more than 500 members from all over the world and we keep on growing! Through MAYS, young scholars in medical anthropology have the opportunity to exchange their ideas and discuss their work in the pleasant peer-atmosphere of our annual meetings. The MAYS coordinators simultaneously function as student representatives in the board of the Medical Anthropology Network within EASA however, the main work of MAYS coordination consists in the management of the MAYS google group, updating the website, and, which certainly is the most fun, organizing the annual conference. Of course, there are all kinds of other things one could think of, but that’s all up to the new coordinators. 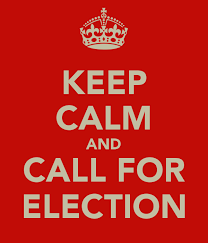 The online elections will take place from July 11th until July 22nd and the new coordinator will be announced on the 29th of July. The deadline for sending in your application is July 8th! 1. You get to turn your ideas regarding medical anthropology into concrete events that inspire many other students. 2. You learn a lot about event organization and networking. 3. You get to know lots of amazing people and significantly enlarge your professional network. 4. You have experienced MAYS-veterans (Claire Beaudevin, Susann Huschke, Katerina Ferkov, Dominik Mattes, Judith Schuehle) by your side and you get to profit from the great work that Mari, your co-coordinator, does! 5. It’s great for your CV – not just in academia. If you want to get more actively engaged in MAYS, please write a short e-mail to mays.easa@gmail.com. Please attach a short CV with a few lines on your current professional situation with regard to your academic career/status and institutional affiliation and your ideas for MAYS. This application will then be circulated among all MAYS members and will be the basis for members to vote. Please send your application in by July 8th! we are delighted to announce that Prof. Cristiana Bastos from the ICS – Institute of Social Sciences of the University of Lisbon will be delivering the opening lecture at our upcoming 7th MAYS conference in Lisbon. Please be welcome to attend and share the news with your network. 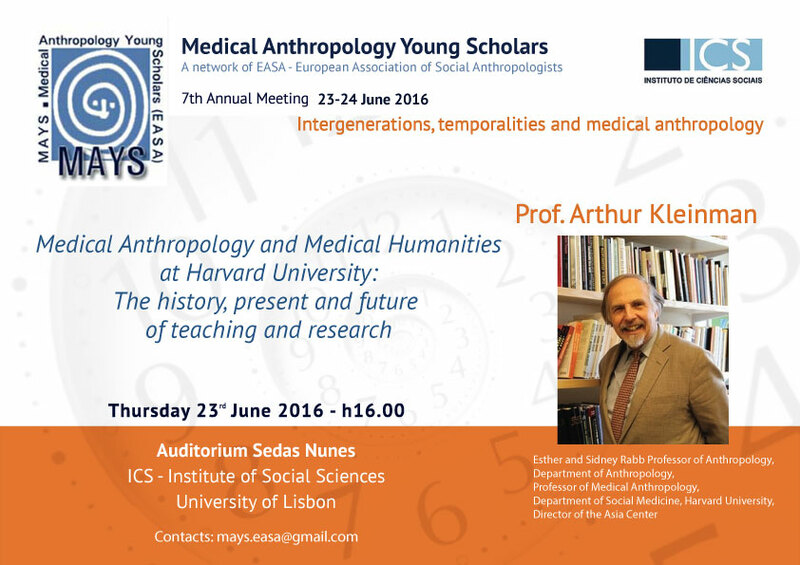 we are excited to announce that Prof. Arthur Kleinman will be delivering a key note during the upcoming 7th MAYS conference in Lisbon. Prof. Kleinman’s lecture will be open to the public, so please be welcome to attend and share the news with your network. 7th MAYS Conference Program – online! please find here the program of the upcoming 7th MAYS Conference in Lisbon!